The 2019 ARIPPA Annual Tech Convention is being held at the Sheraton Harrisburg Hershey Hotel in Harrisburg, PA. Registration forms are available here. An agenda will be forthcoming. Hotel reservations can be made by calling (800) 325-3535 or online. 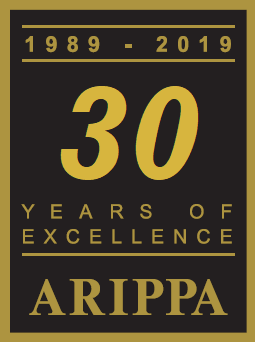 Thanks to the support and involvement of our members throughout the years, the Appalachian Region Independent Power Producers Association (ARIPPA) is proud to be celebrating its 30th anniversary in 2019! This organization has endured many changes and challenges over the years but remains strong and committed to serving its members. We look forward to continuing our efforts to enhance the coal refuse to energy industry for years to come. 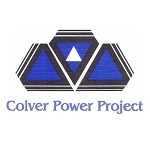 Organized in 1989, the Appalachian Region Independent Power Producers Association (ARIPPA) is a non-profit trade association comprised of independent electric power producers, environmental remediators, and service providers located in Pennsylvania and West Virginia that use coal refuse as a primary fuel to generate electricity. Utilizing circulating fluidized bed (CFB) boiler technology to convert both anthracite and bituminous coal refuse into electricity, ARIPPA plants also provide unique multimedia environmental benefits by combining the production of energy with the removal of coal refuse piles and reclamation of the land for productive purposes. In October 2016, ARIPPA released a report prepared by Econsult Solutions, a Philadelphia-based economic consulting firm, that analyzed the economic and environmental benefits of the 14 plants comprising the Pennsylvania coal refuse to energy industry. Click here for a summary of the benefits or visit the Coal Refuse to Energy Industry tab to review the full report. Ethan Connor-Ross, Director of Econsult Solutions Inc.